Beautiful wooden toys are a favourite among the Babyology team, and we just adore this range of stunning wooden wonders. One of the many benefits of wooden toys is their ability to stand the test of time. And that’s saying something about objects which are usually well used (and much loved) by their child owners. PlayMe has a great range of natural timber toys. 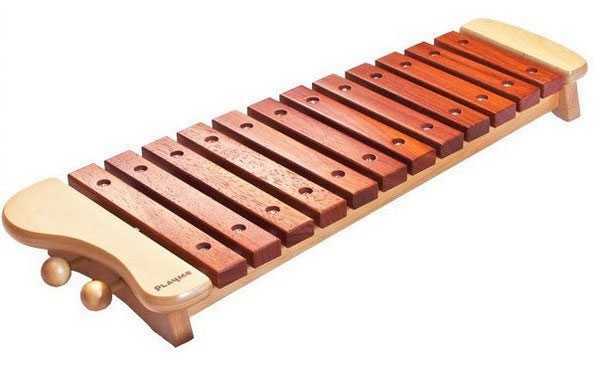 The PlayMe Xylophone not only looks sublime, but sounds beautiful. The base and mallet heads are made from beech, and it’s a generous size too. It’s priced at $139. Another one for the musically minded is the brilliant PlayMe Drumkit. 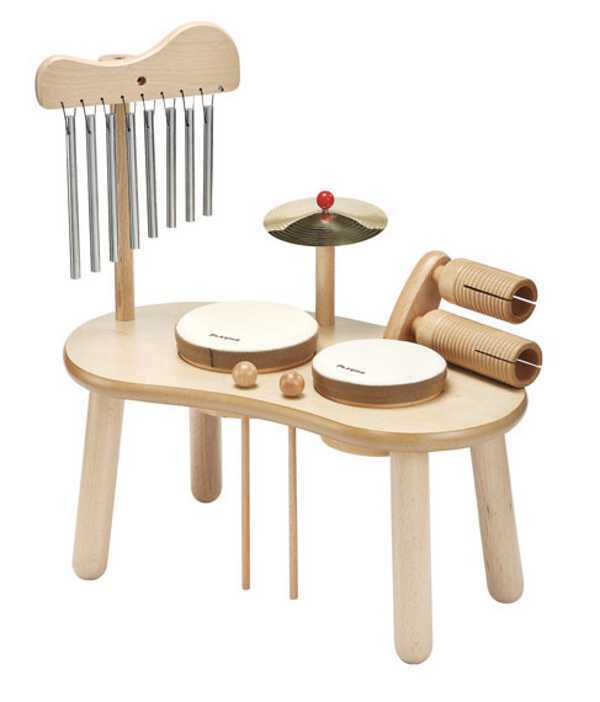 Rather than the deafening sounds of a real kit, this wooden version makes some great music – even at the hands of a child. It’s $249. PlayMe also make a series of really gorgeous rattles. There’s an aeroplane ($27.95), apple ($14.95) and bird ($18.95), all with little moveable features to keep babies busy. 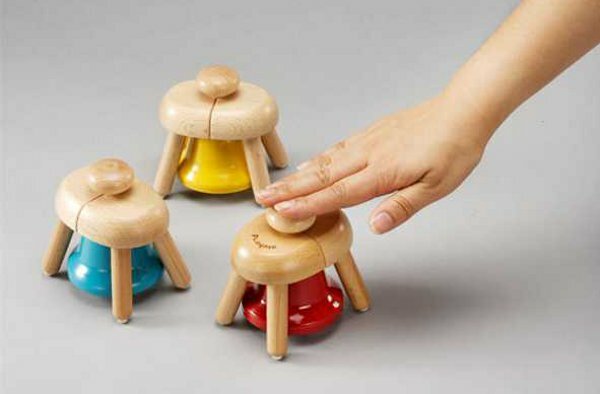 The Pat Bells are a really unique toy, which will no doubt stand the test of time as children grow. Children can ring the bells by patting the wooden knobs by hand, which means even small children can have a go at a tune. 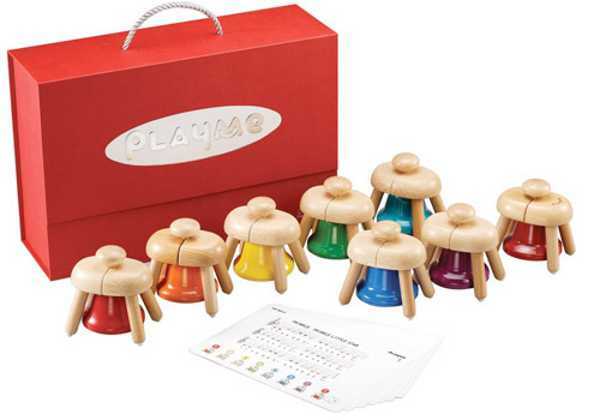 The bells come with a colour-coded song sheet to help children learn how to play songs. The set of eight bells costs $259, and each of the toys is available from UrbanBaby.